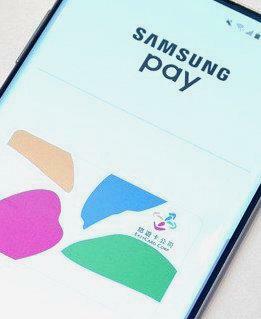 Samsung's Deal with Taiwan’s EasyCard is Latest in Global Push by Pays Wallets to Support Transit Payments | NFC Times – Near Field Communication and all contactless technology. Samsung Pay plans to support transit payments from Taiwan's top closed-loop contactless e-money service, EasyCard, as it seeks to gain market share from Apple Pay in Taiwan's growing mobile payments market. Samsung, in announcing the move today, however, did not release a date for launch of the EasyCard mobile payments service in its wallet. And earlier plans by Samsung to launch a smaller transit and retail e-purse in Taiwan fell through. Nonetheless, the EasyCard deal is more evidence that the global Pays are trying to accelerate their support for transit payments in order to increase transactions and encourage users to tap their wallets more often. Samsung and EasyCard Corp., the latter partly owned by the city of Taipei, in their announcement today, said they had signed a memo of understanding to work together, and implied that the service would launch soon. Article has about 1030 words.